...Or do you think she reached success when during the Gran Depression an art dealer decided to show her work in a New York Gallery? Are you successful when you create something that you like?... when you sell it?...or when you have the courage to try something new, no matter how old you are? What a great post...very inspirational! Love the quote. success=the lovely words people send me after purchasing my art. sometimes i think i'd paiint simply for feedback...it brings the most joy! It shows us all that we are never too old to start something new! What a great post. It's making me think of my Grandmother who painted. 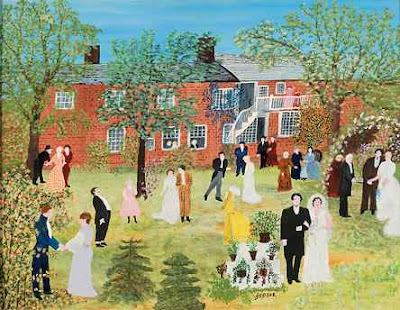 When I was ten years old she gave me a painting she had done of the Laura Ingalls Wilder museum (I was obsessed with LIW as a child) and I'm so glad I have that wonderful painting to remember her by. Those paintings are lovely! 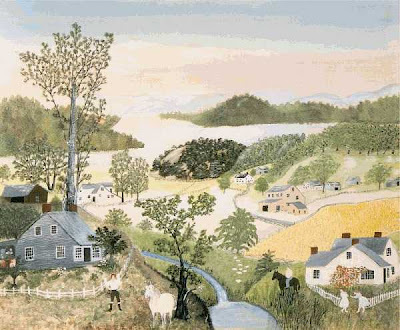 Grandma Moses really is such an inspiration. Beautiful post. I hope I always define success as trying new things and just putting myself out there. So glad I found you. Oh, as someone of a certain age (60) who is trying to learn Chinese brush painting now, this is such a meaningful post! 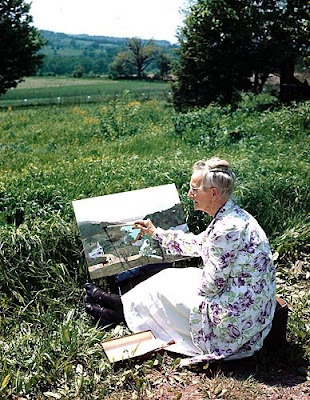 Thanks for the great words and inspiration and the memory of Grandma Moses! It was great meeting you today as well! Your shop is beautiful and Linda is the best! Next time I'm in SC I'll be sure to come back. I've always loved her work and your writing is great.